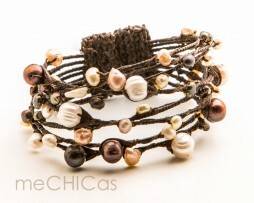 This beautiful handmade pearl-clip-bracelet with freshwater pearls in various colors is a must-have! 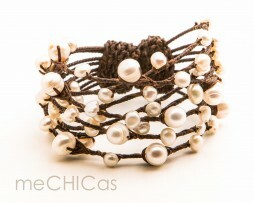 The bracelet is made of waxed string on which the pearls are attached. 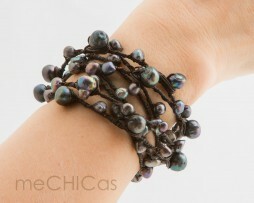 The bracelet is very comfortable and fits any wrist: one size fits all! 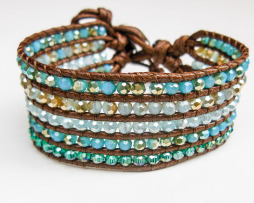 Beautiful handmade bracelet of brown cord on which shiny and glittery beads in blue tones are attached. 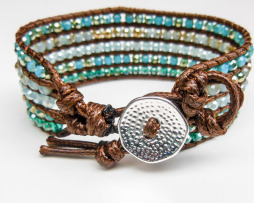 The bracelet is very comfortable and has 3 sizes… and the closing is a beautiful silver button! 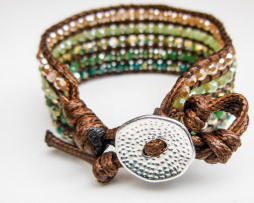 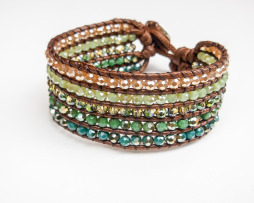 Beautiful handmade bracelet of brown cord on which shiny and glittery beads in green tones are attached. 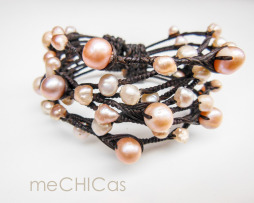 This beautiful handmade pearl-clip-bracelet with salmon colored freshwater pearls is a must-have! 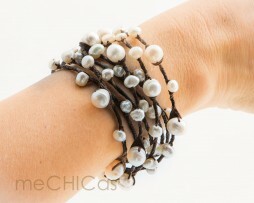 This beautiful handmade pearl-clip-bracelet with white freshwater pearls is a must-have! 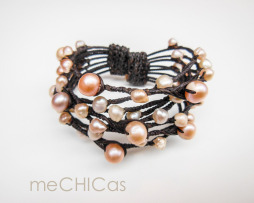 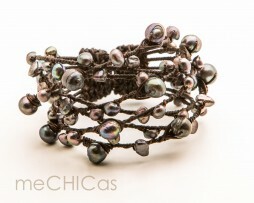 This beautiful handmade pearl-clip-bracelet with freshwater pearls in various shades of dark grey is a must-have!